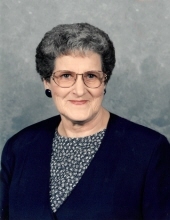 Bonnell “Bonnie” Ratterree, daughter of the late David and Jesse (Chaffin) McGinnis, was born September 11, 1931, in Ozark, Missouri, and departed this life November 30, 2018, at her home in Douglas County, Missouri. Bonnie was 87 years, 2 months, and 19 days of age. Bonnie grew up in the Vanzant community and later moved to Ontario, California, where she graduated high school. She married Robert Ratterree on October 15, 1951 in Salem, Arkansas. They raised four children. Bonnie attended beauty school while she was living in California and became a cosmetologist. She worked in several businesses throughout the years. Bonnie and Robert co-owned the Ratterree and Barnes Plumbing Shop with Calvin and Barbara Barnes for many years. In her spare time, Bonnie enjoyed sewing, cooking, shopping for shoes, and spending time at the lake. She especially loved spending time with her children, grandchildren, and great-grandchildren. Bonnie had been saved and baptized and was a member of the First Baptist Church in Mountain Grove. Besides her parents, Bonnie was preceded in death by one granddaughter, Angie Mallow, four brothers, Wayne, Wade, Louis, and Lee McGinnis, five sisters, Chloe Horton, Tressie Sellars, Betty Keller, and two infant sisters, one sister-in-law and brother-in-law, Edith and Delbert Ellis Creiger, and her husband’s parents, Earl and Jesse Ratterree. She is survived by three sons, Mike Creiger (Diana) and David Ratterree (Debbie) all of Springfield, Missouri, and Danny Ratterree (Janie) of Crestwood, Missouri, one daughter, Sherri Newberry (Bob) of Mountain Grove, Missouri, eight grandchildren, Kim, Karrie, Kasey, Jesse, Ben, Mandy, Megan, and Matt, eleven great-grandchildren, and a host of other relatives and friends who will miss her dearly. To send flowers or a remembrance gift to the family of Bonnie Ratterree, please visit our Tribute Store. "Email Address" would like to share the life celebration of Bonnie Ratterree. Click on the "link" to go to share a favorite memory or leave a condolence message for the family.